Air Optix for Astigmatism lenses are monthly, silicone-hydrogel lenses. 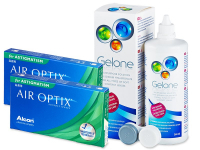 These toric contact lenses feature a light tint for easier handling and are approved for occasional overnight or extended wear. 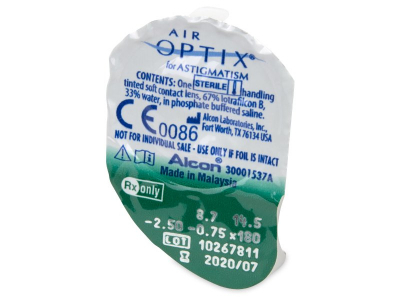 Air Optix for Astigmatism are monthly silicone-hydrogel contact lenses developed by Alcon to correct astigmatism. The silicone-hydrogel material, Lotraflicon B, guarantees high oxygen permeability, which enhances the lenses' comfort and clarity. 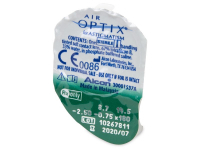 This package of Air Optix for Astigmatism contains three lenses. We also offer a larger package of six Air Optix for Astigmatism contact lenses at a great, low price. 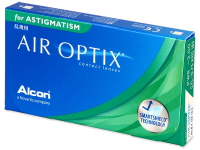 Air Optix for Astigmatism contact lenses have a light-blue tint for easy visibility and handling. 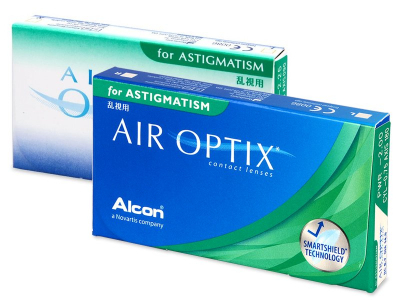 According to the manufacturer, it's possible to extend the wearing period to seven days and six nights, however always consult with your eye doctor regarding extended wear, as it is not suitable for everyone. Hello, do you have air optix for astigmatism in color? Was a bit disappointed to have developed astigmatism in one eye, but at least the cost of the lenses is reasonable. 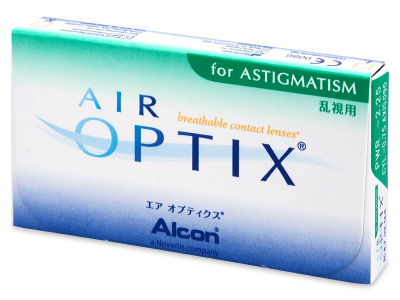 Anyway, I can't tell a difference between these and the regular Air Optix, so I can highly recommend both. Great price compared to my optician. Thanks! 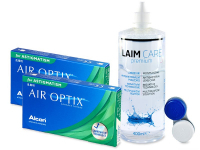 Thank you for your recent comment. Unfortunately, this style of lens does not offer a 0 degree axis. 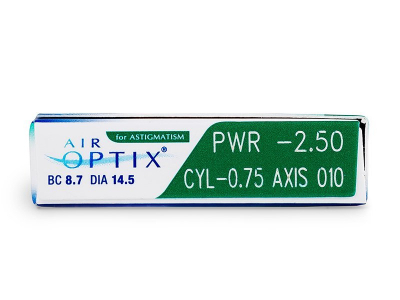 The lowest possible axis on toric lenses is usually 10. If you do not require lenses for astigmatism I can recommend our regular AirOptix https://www.alensa.co.uk/…qua-3-lenses.